WASHINGTON (Sputnik) - US President Donald Trump and French President Emmanuel Macron agreed in a phone call on Wednesday that they need to take action against Russia for alleged use of chemical weapons against a former spy in the United Kingdom, the White House said in a press release. "The Presidents reiterated their solidarity with the United Kingdom in the wake of Russia’s use of chemical weapons against private citizens on British soil and agreed on the need to take action to hold Russia accountable," the release said. 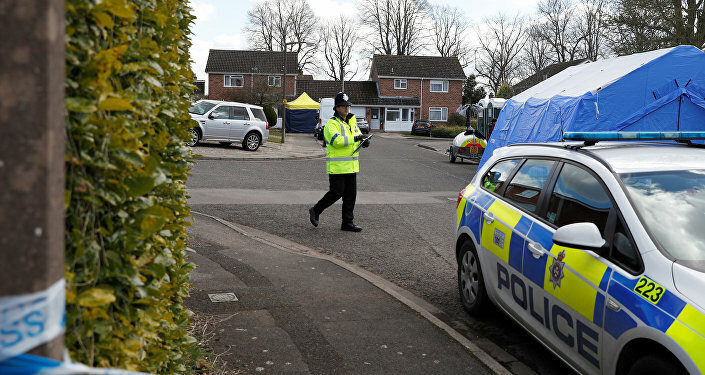 Skripal and his daughter have been in hospital in critical condition since March 4. UK Prime Minister Theresa May has accused Russia of orchestrating the attack on the former intelligence officer, and expelled 23 Russian diplomats as a punitive measure. Russia has denied allegations of involvement in the use of a nerve agent in the UK against former spy Sergei Skripal and have asked the British government for access to the substance used in the attack. On Saturday, Russia announced retaliatory measures against the United Kingdom, declaring 23 employees of the UK Embassy in Moscow personae non gratae in response to London's move.